Ada pertanyaan untuk Hotel Causeway? Terletak strategis di area berbelanja, melihat-lihat, kebudayaan di Mumbai, Hotel Causeway menyediakan tempat yang kondusif untuk melepas penat dari kesibukan Anda. Pusat kota terletak hanya sekitar 30 km dan bandara dapat ditempuh dalam waktu 40 menit. Karena lokasinya yang strategis, properti ini memiliki akses mudah ke destinasi yang wajib dikunjungi di kota ini. Hotel Causeway menawarkan pelayanan sempurna dan segala fasilitas penting untuk memanjakan para wisatawan. Para tamu dapat menikmati fasilitas di tempat seperti layanan kamar 24 jam, resepsionis 24 jam, penyimpanan barang, tempat parkir mobil, layanan kamar. Para tamu dapat memilih dari 25 kamar yang semuanya dilengkapi dengan suasana yang tenang dan harmonis. Properti memiliki berbagai pilihan fasilitas rekreasi yang memungkinkan Anda melakukan bermacam hal selama menginap. Ketika Anda mencari penginapan yang nyaman di Mumbai, jadikanlah Hotel Causeway rumah Anda ketika berlibur. I don't recommend level 3, which is reception, as soon as you open your door, 5 staff are staring at you. Hotel is in a hectic location, lots of touts and people. Too hectic for my preferences. Room is really nice, very clean and good value if you're looking for a busy location. Just keep an eye on staff because I felt like I couldn't move without being watched and when you're in Mumbai, you do need a little peace and quiet when you get back to your hotel. The Hotel has nothing exclusive except location. 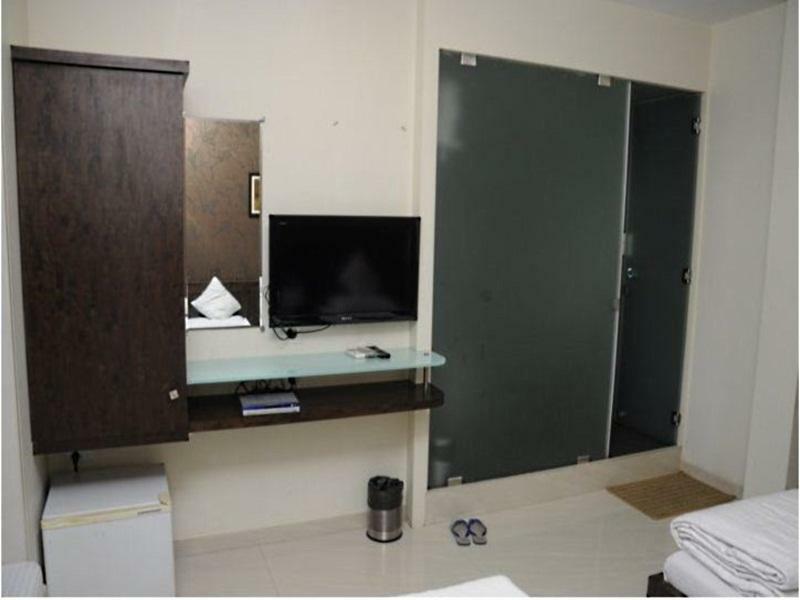 Rooms are really very small and lacks many facilities. Location-wise this is indeed strategically located near major attractions in the Colaba area but it is also located in a very crowded, probably unsafe area due to very narrow passageway clogged with merchandise and shoppers. The hotel itself is accessible thru a narrow alley that leads to an elevator as the hotel occupies the third floor of the building. If not for the very big signage outside that's lit up at night, it is easy to miss this in the morning as what the Ola cab I'm riding on did. Yes, it is affordable and satisfactory but with no other amenities except room service. The towels and sheets need replacing. Staff is very professional though. If you are on a very tight budget, travelling solo or just need a shut eye, this may appeal to you. For travel with spouse and family and for a relaxing holiday, I suggest to look around the block along the Taj Hotel as there are decent hotels there too. Close to sights and market street. Nice, but small rooms, comfy bed. Only minus was loud bang when doors were shut, they should probably be changed or done something with. hotel is not far from gate of india and can walk within 5 minute. 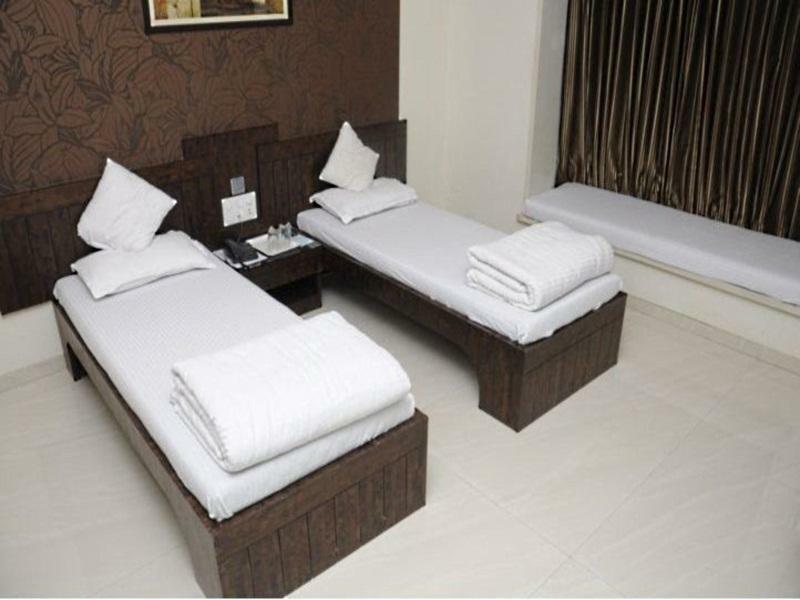 A budget hotel in a great location, staying here you know you have arrived in India, in a good way!!! Compared to other hotels in south Mumbai, this hotel is OK. The room was definitely spartan, but a good place to land on our first night in Mumbai. The hotel was a good home base for exploring the city, and the employees were attentive and helpful whenever we had issues with train tickets etc. A few more t.v. channels might have been nice, and dividing the hotel into smoking/non-smoking rooms would have made a better first impression. Unfortunately you get a lot of noise in your room from two sides: you hear everything that is said in the hotel lobby and you get some sound of the neighbouring rooms. And a lot of honking from the outside. We enjoyed our stay here. The staff were friendly and helpful and went out of their way to help us, which we really appreciated! The location was amazing! The rooms are small but comfortable! We stayed at the causeway for two nights and really enjoyed our stay. It was in a perfect location right in the centre of colaba. The staff were very friendly and let us use one of the rooms to shower in as we had a late flight! Highly reccomend! L'hôtel est incontestablement parfaitement situé. Le wi-fi ne marche que dans la réception. Les portes des chambres sont très fines, et refusez une chambre au niveau de l'étage de la réception, car vous profiterez toute la nuit des conversations et allées / venues. Les draps sont usés au point d'en avoir des trous. J'ai tuer au moins 3 blattes avant de pouvoir rentrer dans mon lit. L'accueil est poli et courtois, mais pas du tout chaleureux. La chambre devant être libérée à midi et l'avion tard le soir ils ont accepté de garder les valises durant la journée. En conclusion : je ne retournerais dans cet hôtel que si je n'en trouve pas un autre de la même catégorie dans le même quartier. La stanza è veramente scadente, molto piccola, letti con materassi e cuscini sottilissimi, il bagno è una specie di cubo di plastica 3x2 ricavato contro una parete della stanza stessa. Wi fi utilizzabile solo nella reception, dato che dalla mia stanza il segnale non era presente. Per arrivare nell'hotel è necessario entrare in una specie di negozio di scarpe in fondo al quale c'è un'ascensore dal quale si accede ai due piani del palazzo che sono di proprietà dell'Hotel. Di notte i clacson fanno un gran baccano ma ovviamente questo non è colpa dell'Hotel ma della posizione, assolutamente centralissima a due passi dal Gateway of India. Lo staff è molto gentile in ogni caso e dalla reception mi hanno permesso di fare una telefonata ad un numero indiano.